Downtweet, a reliable Tweet search engine, is compatible for most types of blogs. This widget provides important and entertaining feeds in real-time. Downtweet is 100% free and active all the time. There are many ways a person can benefit from Twitter. The most common way is to look for tweets that are informational and interesting at the same time. Additionally, gaining followers is like having many personal connections. Downtweet, a trendy widget, uses the tweet search premise to reach out many people. In other words, Downtweet integrates the Twitter mentality. Since Downtweet is a widget, its potential is greatly measured once it is installed to a blog or website. Widgets have different purposes but they all share one thing in common: drive traffic to the blog. This goal was reached by Downtweet, few weeks after its early release. 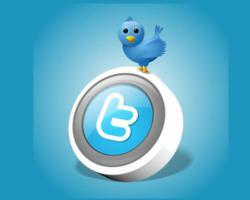 The idea of a Twitter search engine made people excited, especially bloggers. Navigating around the Downtweet website is easy. There are two active panels displaying separate streams of feeds according to the category being searched. The third panel requires the user to log in using his Twitter account. At first glance, a user may think that Downtweet is a busy website. In fact, a blogger commented that Downtweet looks like a stock market exchange. There are many categories that a regular user can choose from. These categories range from money to the latest gossips. Famous tweets about celebrities are also displayed here. Another famous category is Comedy, displaying the latest tweets in the humor industry. According to statistics, majority of people search tweets because they are looking for something that can tickle their funny bones. Downtweet is also considered as a Twitter tag search engine because of the tweets saved up. The tweets selected are optimized according to their rate of popularity. Funny tweets, again, rake up a popularity score in this section. It has also been proven that interesting tweets capture the hearts and minds of audiences. Picking Downtweet for any blog is crucial. Based on the market demand for entertaining stuff, Downtweet is bound to create a visibility spike for blogs that have been inactive for a while. Interested bloggers can always visit http://www.downtweet.com to learn more about its useful functions. Downtweet.com has developed live Twitter search software for any website or blog. Any site can add a Downtweet widget in a matter of seconds. Downtweet.com also acts as a Twitter portal for users to get instant Twitter streams. Downtweet widget users have the ability to customize the look and feel of Downtweet to fit the style of their website or blog. Downtweet is a free service.